An employer may wish to set an Annual Scheme for PAYE under Real Time Information (RTI) reporting. The advantage of running an Annual Scheme is that it may be practical and cost-efficient because it reduces your RTI reporting, for example if you are a one man company and you are planning to pay yourself a fixed salary for the year it can be voted and paid in say April and then there are no other reporting requirements until the year end. Employees must be paid annually, at the same time. Only one payment is due and is made to HMRC on account of PAYE and NICs. If an employer runs an Annual Scheme they don't need to file a nil EPS report for the months when they don't pay anyone. If an employer does not run an Annual Scheme, it will be required under RTI to run a nil EPS report every month and also a FPS report for the period of payment. Failure to submit a nil EPS can result in a penalty. If an employer is going to change to an Annual Scheme mid year, it must run a nil EPS report for every month until its registration is accepted and also a FPS report for the payment month. HMRC says that it will regard employers as "non-compliant" if they register for Annual Schemes but in fact pay employees monthly. If you submit more than one FPS in a year HMRC will assume you no longer wish to operate an Annual Scheme. Schemes not registered as annual schemes should submit a 'NIL EPS/period of inactivity EPS’ for each month. This will also apply to schemes where the employer/agent intends to apply for a scheme to become an annual scheme - in which case they will need to submit a 'NIL EPS/period of inactivity EPS' until the registration has been accepted as an annual scheme. An FPS should be submitted for the month the payment is made and the annual details filled in. 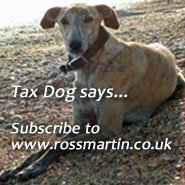 HMRC will then automatically change the annual payment date over to that month. If the new payment date is later, you will also need to send HMRC a nil EPS for the previous payment month to let them know you aren't actually paying anyone.